HIGHLY CURATED ATTENDEES. HIGHER CALIBER CONTENT. HIGHEST ROI. Each year, CLW shares Inspirational Stories of L&D Leadership, Innovation, Growth and Transformation. 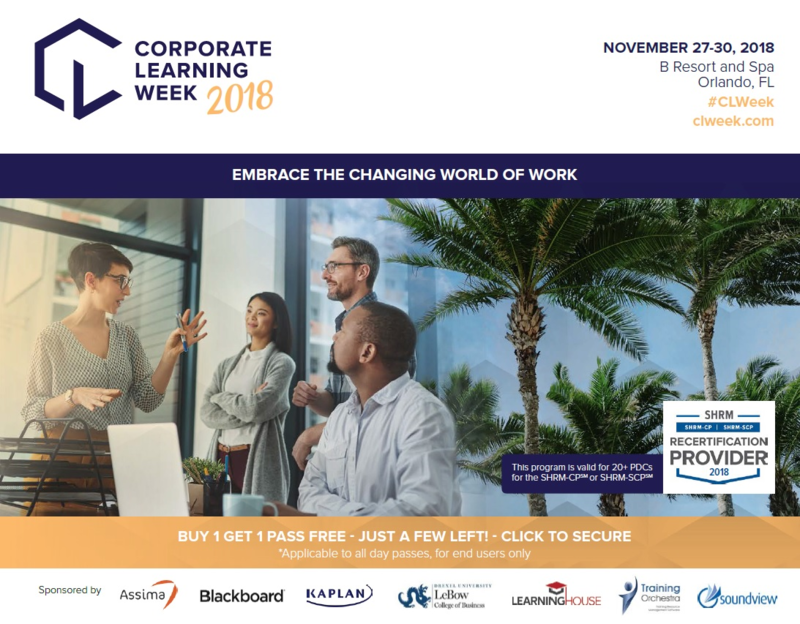 We'll be back in its original home of sunny Orlando from 11/27 - 11/30, focusing on powerful new tools and capabilities to help you transform your learning organization to align with your company's core values. Don't miss out on a lifetime experience! Access the agenda now.